On November 28, eight of the nine Regional Conference Presidents, Elders William L. Winston, South Atlantic; Benjamin Jones, Jr., South Central; Greg Mack, Southeastern; Calvin Watkins, Southwest Region; Roger Bernard, Central States; Dr. W.T. Cox, Allegheny West; Dr. Daniel Honore, Northeastern; and Dr. R. Clifford Jones, Lake Region; along with the President of Oakwood University, Dr.Leslie N. Pollard and the Executive Director of the Office for Regional Conference Ministry, Elder Dana C. Edmond, met with the President of the General Conference, Dr. Ted N.C. Wilson. 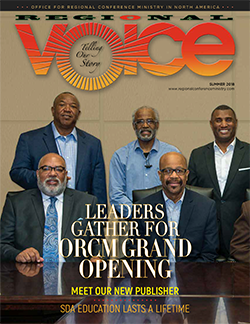 The ninth Regional Conference President, Elder Henry Fordham, Allegheny East, was out of the country and sent his regrets, along with the West Coast Vice Presidents, Elders Virgil Childs (Pacific Union) and Byron Dulan (North Pacific Union). The meeting was an outgrowth of the firestorm that erupted over remarks given during Dr. Wilson’s sermon on October 13 during Annual Council, at Battle Creek, Michigan. The President’s remarks on social justice and worship styles were viewed as insensitive at best, by many in Regional Conferences-including the Regional Conference leadership.When informed in Battle Creek by Presidents Bernard and Watkins of the firestorm his remarks had created, Dr. Wilson expressed regrets and assured them that he had not intended his remarks to be anti-social justice or to reflect negatively on black worship. He immediately gave clarifying remarks that afternoon at the business session of the meeting and invited the Regional leadership to meet with him at his office at the General Conference on one of three dates. Ultimately, November 28 was chosen. Though he was familiar with most of the Regional leaders, Dr. Wilson began the meeting by asking each attendee to state their name, where they served and a particular challenge that they were facing. After each person shared their challenges, lunch was served. During lunch, Dr. Wilson was asked by one of the Presidents about some of the challenges that he faced. He mentioned the recent issue with policy compliance, as it related to women’s ordination. That opened the door to a civil and respectful but candid discussion with Dr. Wilson and the Regional leadership. The point was made that as God is the giver of ministerial gifts and as ordination is merely man’s recognition of the the gift and calling of God in the life of a particular individual, that the church’s position on women’s ordination was the equivalent of denying that calling solely on the basis of gender. The point was further made that while there was a respect for the policies of our church that to deny the recognition of the ministerial gift solely on the basis of gender was at the very least problematic to the Regional leaders, in general, and for some, was a violation of their conscience. While it was clear that Dr. Wilson’s position was not the general position of the group, he did listen and there was the ability for those in the room to disagree without being disagreeable. The next area of concern for the Regional leaders was the lack of representation from Regional Conferences in the leadership of the General Conference. Speaker after speaker made the point that while they were very appreciative of the African-American-Dr. Ella Simmons, Vice President-who serves on the upper levels of the General Conference, there were no African-Americans from Regional Conferences who serve as Vice Presidents, Assistants to the President, General Conference Secretaries, Associate Secretaries, Treasurers, Under Treasurers or Departmental Directors. Elder Wilson responded by correctly pointing out that the General Conference membership was much more diverse than it was thirty years ago when much of the General Conference leadership was populated by people from North America. The Regional Conference Presidents politely but firmly pushed back by pointing out that that fact had not prevented a good number of of our colleagues from State Conferences being elected or appointed to positions at the General Conference. They reminded the President of the contributions to this church by African-Americans, of the financial support that-were Regional Conferences a world division of the General Conference, that their tithe would have been fourth among the fourteen world divisions. They pointed out to Elder Wilson that African-American Adventists had been “loyal to a church that not always been loyal to them”. Elder Wilson promised to be sensitive to the situation and the dialog moved on to the next area of concern-the President’s remarks in Battle Creek regarding unbiblical worship styles. The Regional Presidents shared with Dr. Wilson that-even if he had not meant it that way-that was taken as a shot at black worship. Elder Wilson assured the Regional Presidents again that had not been his intent. He said that he had been to some other places and he had witnessed some things that had caused him some concern, but that he would be more careful in expressing those concerns in the future so as not to give the impression that he was implicating black worship. The meeting preceded to areas where there was common ground-things such as the church’s mission to the urban areas of the United States. The President mentioned his plans for ministry in the city of the 2020 General Conference, Indianapolis. He asked for the assistance of the host Regional Conference President, Dr. Jones, in that endeavor. Dr. Jones pledged his support and the other Presidents pledged to join in as well. Dr. Wilson was also issued an invitation to meet with the Regional leadership at the next meeting of the Black Caucus in Louisville, Kentucky, in late July-an invitation he immediately accepted. A number of the Presidents also expressed a desire for him to be a part of their Camp Meetings. This is all a part of building bridges between Dr. Wilson and the Regional Conferences and their constituents. As the meeting began to wind down, Dr. Wilson reiterated that he has no intention of seeking to end Regional Conferences. He expressed that he recognized the continuing need for the ministry that Regional Conferences provide. After having shared their concerns with Dr. Wilson, the Presidents asked Dr. Wilson was there anything that they could do to assist him. He responded by asking the Presidents to keep before their constituents the world-wide nature and mission of the church. The meeting closed with the Regional Conference leaders asking if they could pray for Dr. Wilson. The meeting then moved from his conference room to his office. Everyone knelt and the Presidents laid hands on him as Elder Winston, the President of the Regional Presidents Caucus, prayed a heartfelt prayer for Dr. Wilson in his role as the leader of the remnant church of the living God. Dr. Wilson responded by an equally sincere prayer for the Regional Presidents. With that, the nearly four hour meeting came to a close. Two personal notes in closing: Before we left, we took a picture with Dr. Wilson. As the person who first asked for the picture, I knew that when those pictures came out, there would be comparisons between the picture we took of our meeting with President Wilson in his office and the picture some other black ministers of some other denominations took some months ago with President Trump in his office. Sure enough, by the time I reached where I was staying that night, the two pictures had surfaced, one beside the other; The Regional leaders with President Wilson and the rather infamous picture of some black ministers with President Trump. I anticipate that there will be at least some negative commentary. But there are some important differences. First, there was not a lot of flattering remarks to the President, telling him-as one of the Pastors told President Trump-that he was “the most pro-black President” in the history of the United States. Our meeting with President Wilson was respectful. Whatever disagreements we have with him, he is the leader of God’s church. That deserves respect, period. But our respect for him in no way inhibited us from sharing our concerns and disagreements with him. And share we did-for a good long while. And he sat there and listened. As a former Conference President, I have been on the “other end” of the kind of meeting we had with Dr. Wilson. It is not a whole lot of fun. For Dr. Wilson to be willing to do that says something positive about him. 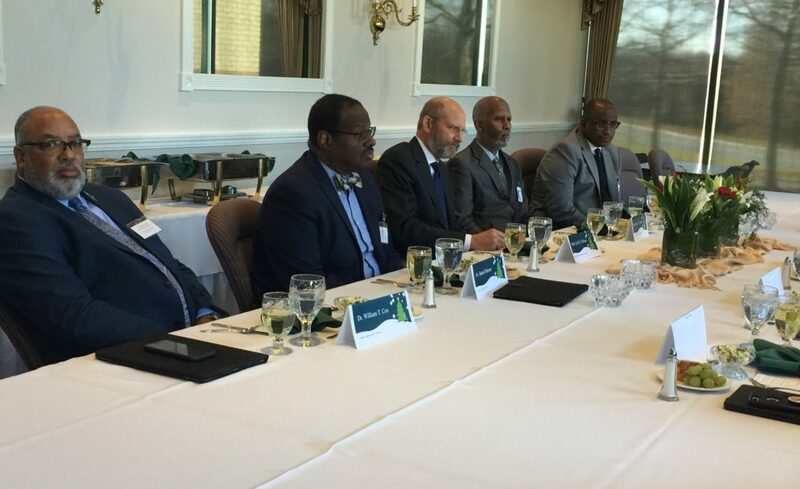 Second, at the end of the day, the Regional leadership and Dr. Wilson share a common purpose that is far more important than whatever the reason that brought those Pastors and President Trump together: The Great Commission. It will be a lot easier to accomplish that if we work together. In the forty-plus years that I have been privileged to work in this church, I have experienced enough to know that for all the camaraderie and good feelings there were on yesterday, things still might not turn out the way I believe we all want it to turn out. But we have to try. Someone asked shortly after the meeting “What was accomplished?” The short answer is, “We talked, and President Wilson listened. Then he talked, and we listened”. That may not sound like a lot-and, perhaps it isn’t. But in today’s political climate-and sadly-even in today’s church climate-being able to talk civilly and in a mutually respectful manner to people with a different opinion is rarer than it should be. Yesterday was just a first step. But without a first step, there are no other steps. I invite you to pray with us that there will be more steps.